Our families traditional way to bake ham. I'm sure others do much differently. 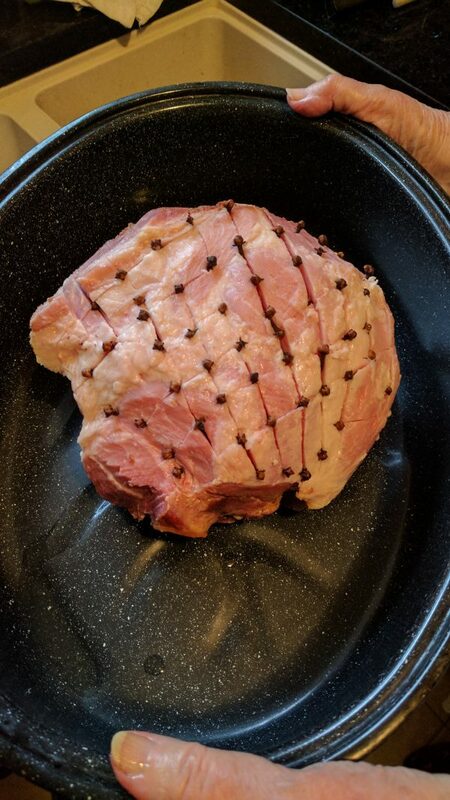 Trim the ham, especially the thick "rind"
Scour the top of the ham in a crosshatch pattern. Add one whole clove at each intersection. 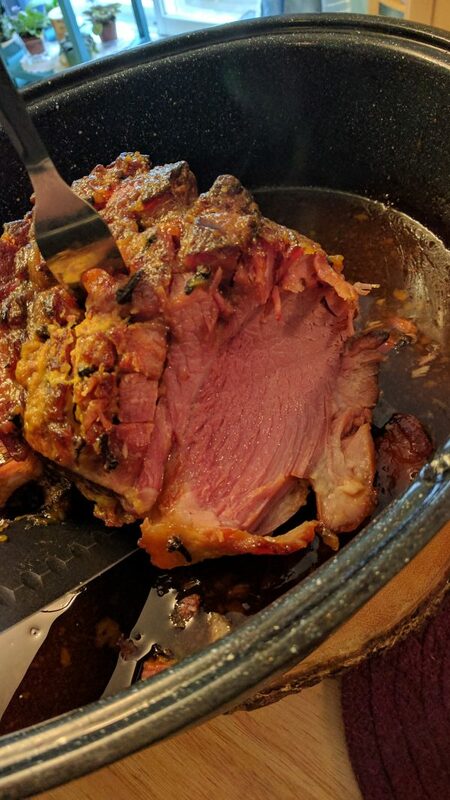 Bake ham at 400 F for one hour. 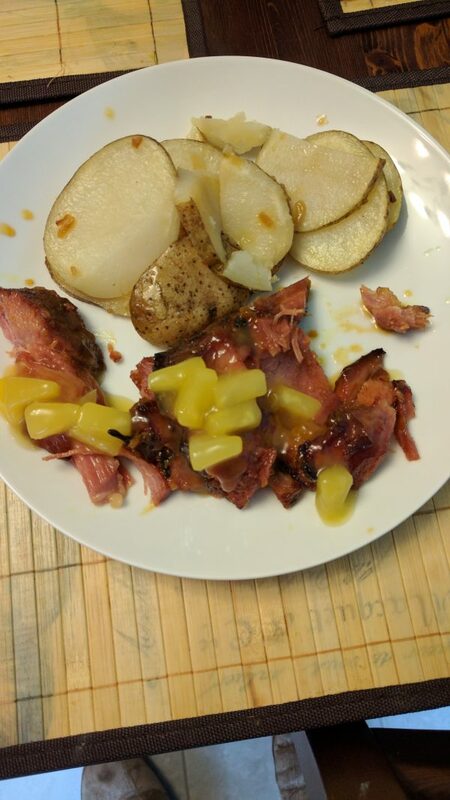 Mix glaze ingredients together, and spoon about 1/2 over the ham. Note: We don't measure much, may need to adjust to taste with experience. Continue baking, and repeat glaze about 1/2 hour before cooking is complete. 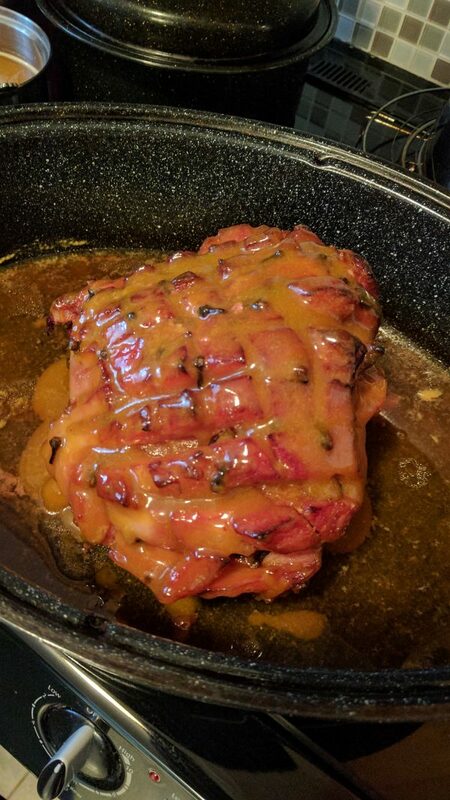 Cooking time is of course dependent upon size of ham, use your judgement, or meat thermometer. 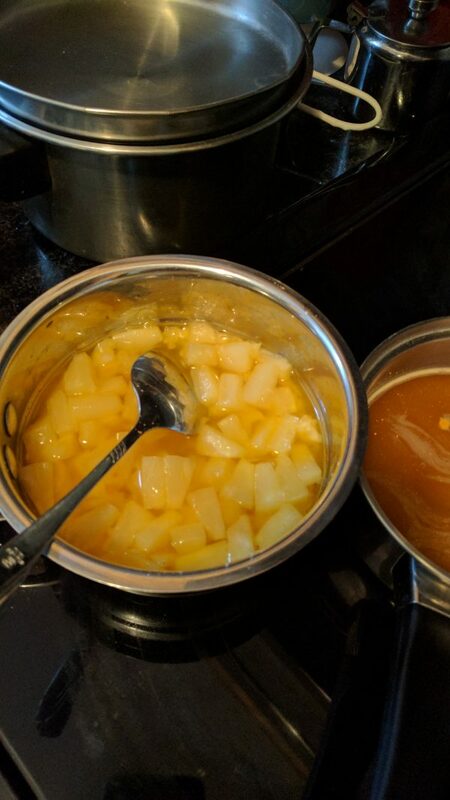 Add pineapple, including juice, brown sugar, and custard powder to appropriate sized saucepan. Stir together, and cook over medium low heat till thickened. Stir occasionally. 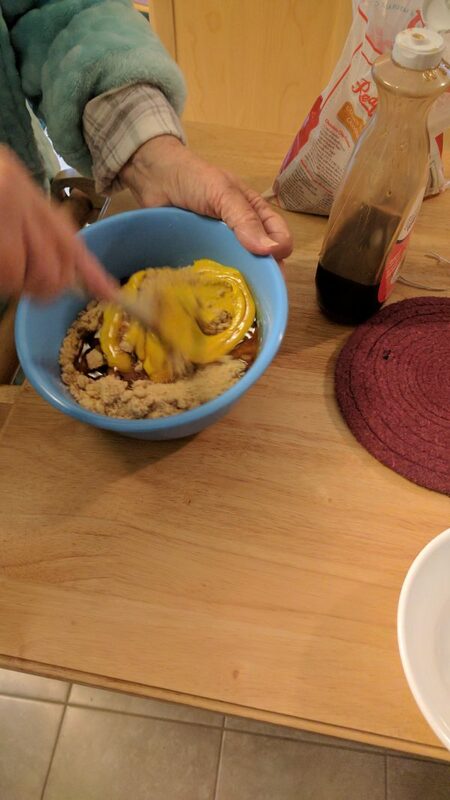 Add butter, and stir together. Remove from heat and place in serving bowl to spoon over cooked ham.